A 1966 Shelby 427 Cobra “Semi-Competition” roadster sold for $2,942,500 as the top result at the RM Sotheby’s Arizona 2018 classic car auction. The Works Jaguar D-Type failed to sell. A highly authentic 1966 Shelby 427 Cobra “Semi-Competition” roadster sold for $2,942,500 as the top result at the RM Sotheby’s Arizona 2018 sale. The heavily promoted Works 1954 Jaguar D-Type failed to sell despite attracting the highest bid of the week of $9.8 million. RM Sotheby’s sold nine cars for over a million dollar including four Ferraris. A 1948 Tucker 48 sold for a very strong $1.8 million as the second highest result of the sale. 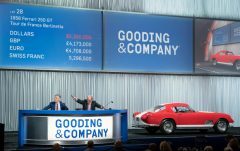 An Alfa Romeo 1900C SS Speciale, a Porsche 959 and a Mercedes Benz 300 SL Roadster also achieved results above a million dollar. RM Sotheby’s held its 19th annual Arizona classic car auction on 18 & 19 January 2018 at the Arizona Biltmore Resort & Spa in Phoenix, Arizona. Around 160 cars were on offer. In 2017, RM Sotheby’s earned $54 million from 141 cars offered with a sell-through rate of 89%. RM Sotheby’s sold 15 cars for more than a million dollars. 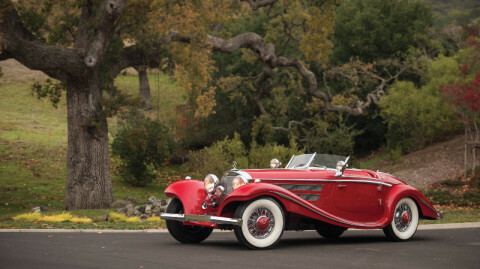 With both Jaguar D-Types on offer at Scottsdale 2018 failing to sell, RM Sotheby’s continue to hold the Scottsdale classic car auction week record with the very elegant 1937 Mercedes Benz 540 K Spezial Roadster that sold for $9,900,000 in 2016. Prices include premium. Exclude post-auction deals. 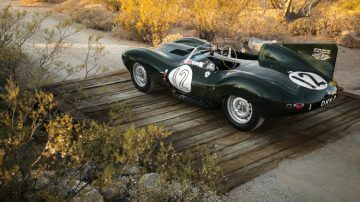 The 1954 Jaguar D-Type works racer, estimate $12-15 million, failed to sell at the RM Sotheby’s Arizona 2018 auction. It attracted the highest single bid of any car during the Scottsdale, Arizona 2018 auction week of $9,800,000, which was not accepted. The red 1956 Jaguar D-Type on offer at Gooding similarly failed to sell with a highest bid of $8,850,000. RM Sotheby’s offered no further cars in the auction with pre-sale valuations above $2.5 million. RM Sotheby’s seemed to have judged the market well with only four of the top 16 cars on offer failing to sell. The 1966 Shelby 427 Cobra “Semi-Competition” roadster, chassis CSX3040, achieved $2,942,500 as the top result at the RM Sotheby’s Arizona 2018 classic car auction. This was half a million dollar above upper estimate and one of the highest prices ever paid for a Shelby. 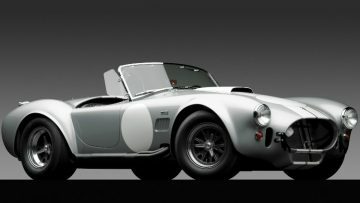 This Shelby 427 Cobra Semi-Competition is one of a limited high-performance cars produced for road use after Shelby failed to produce enough cars in time for FIA homologation purposes. It was professionally restored and is considered an exceptionally original and authentic matching numbers car. Like most of the Shelby 289 Cobras available during the Scottsdale week, the 1965 Shelby 289 Cobra at RM Sotheby’s sold for just below a million dollar at $990,000. The rare but generally far less appealing 1965 Shelby GT350 R failed to sell with a highest bid of $850,000. The 1948 Tucker 48 sold for $1,792,000 as the surprise second highest result at the RM Sotheby’s Arizona 2018 sale. Four Ferraris and an Alfa Romeo had higher pre-sale estimates. 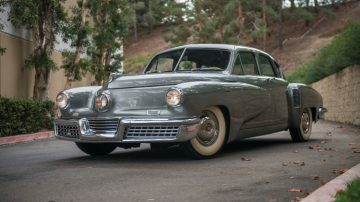 This Tucker 48 was the star of the 1948 promotional film Tucker: The Man and the Car. It was also one of the Tuckers test-driven at the Indianapolis Motor Speedway. It has covered less than 20,000 miles since new. The Tucker 48 sold for well above upper estimate and was at least the fifth Tucker to have sold for above a million dollar since 2014 with only the Tucker 48 sold for $2,035,000 at Gooding Pebble Beach 2014 achieving a higher result. RM Sotheby’s did not offer any particularly expensive Ferraris during the Scottsdale, Arizona, 2018 auction week and the million-dollar Ferraris on offer generally sold for below estimate, or toward the lower end of presale expectations. 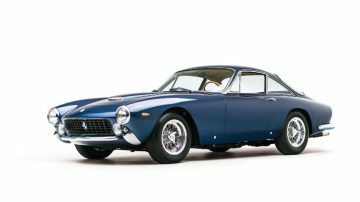 The 1964 Ferrari 250 GT/L Berlinetta Lusso by Scaglietti, chassis no. 5537 GT, sold for $1,682,500, as the top Ferrari result at RM Sotheby’s Arizona 2018. The car finished in Blue Sera over beige was the 275th of 350 built. It earned best in class at the 2014 Arizona Concours d’Elegance. 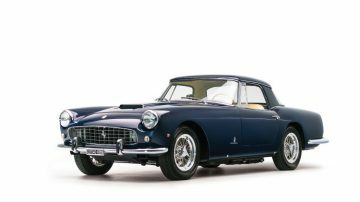 The 1960 Ferrari 250 GT Cabriolet Series II, chassis 1939 GT, sold for just inside estimate $1,407,500. This was the 39th of 200 built. The car previously failed to sell with a highest bid of $1,650,000 at the Gooding Scottsdale 2016 sale. A similar Series II Cabriolet failed to sell at Gooding with a highest bid of $1.35 million. 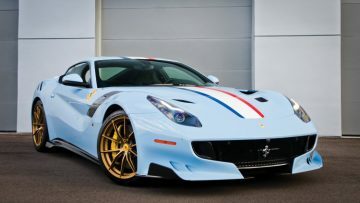 A 2017 Ferrari F12tdf sold for a strong $1,320,000 – the third F12tdf to sell for over a million dollar within six weeks. This car has only been driven for 200 miles and came with a Ferrari Genuine Maintenance Program until 2024. It is finished in a unique color scheme of light blue with red, white and blue racing stripes. 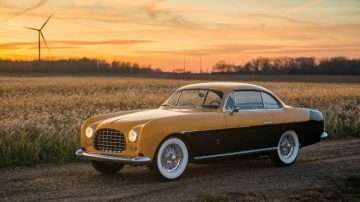 A 1952 Ferrari 212 Inter Coupe by Ghia sold for $1,187,500 – more than $400,000 below lower estimate. 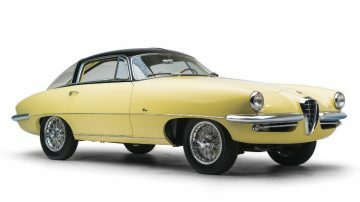 This Ferrari with one-off body by Ghia originally belonged to Juan Peron, president of Argentina. Peron lost ownership of the car after a coup in 1955 but the Ferrari remained in Argentina until 1987. The car was restored to its original color scheme around 2000 and received second in class at Pebble Beach in 2002 and a Platinum Award at the Cavallino in 2003. It has not been shown since. Two further top Ferraris failed to sell: the 1967 Ferrari 330 GTS received a highest bid of $1,650,000 and a 1957 Ferrari 250 GT Coupe by Boano a highest bid of $925,000 – just $25,000 below lower estimate. The 1955 Alfa Romeo 1900C SS Speciale sold for $1,270,000 at the RM Sotheby’s Arizona 2018 sale. The car has a unique Boano body and was the coachbuilders’ 1955 Torino Motor Show car. The 1955 Alfa Romeo 1900C SS Speciale was displayed at the Paris Rétromobile 2014 show and in 2015 participated in the invitation-only Preservation Class at the Pebble Beach Concours d’Elegance. The recently restored car in its original colors won its class at the 2017 Pebble Beach Concours d’Elegance. 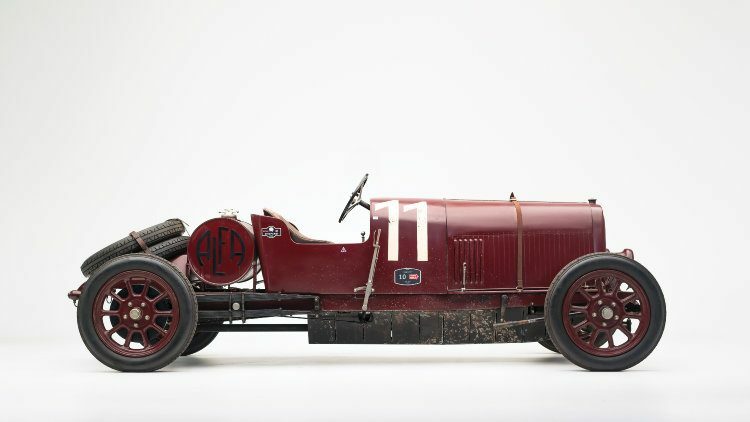 The 1921 Alfa Romeo G1, considered to be the oldest Alfa Romeo in existence sold for a more modest $445,000. It is the only known survivor of the 52 G1 cars produced. It was exported new to Australia and remained there for almost nine decades. It retained its original engine and chassis but the body is a reproduction. 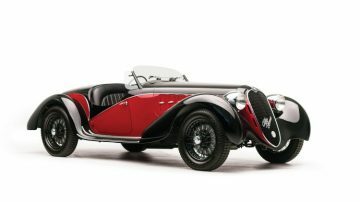 The 1942 Alfa Romeo 6C 2500 SS Spider sold for a rather disappointing $550,000 – only around half of pre-sale estimate. Although a great looking car, its early history is unknown, the body is not the original and the engine is a period correct replacement. 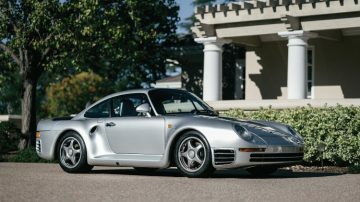 A 1987 Porsche 959 Komfort sold for a good $1,160,000 as the only million-dollar Porsche in the RM Sotheby’s Arizona 2018 sale. This Porsche 959 is fully federalized allowing for registration in California and other US states not necessarily applying the 30-year rule. The Porsche 959 is finished in the iconic silver metallic and has only covered 8,900 miles since new. A 1957 Mercedes Benz 300 SL Roadster sold for $1,083,000 – just above estimate at the RM Sotheby’s Arizona 2018 sale. 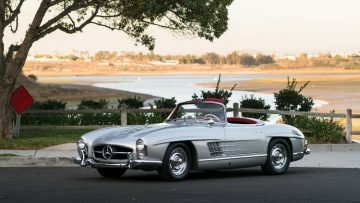 It was one of seven 300 SL cars on offer at the Scottsdale week auctions – two Gullwings and five Roadsters. Despite this Roadster not being the pick of the bunch managed to achieve a million dollar result. The catalogue description was remarkably short and vague with the car being described as an “ideal candidate for touring”.